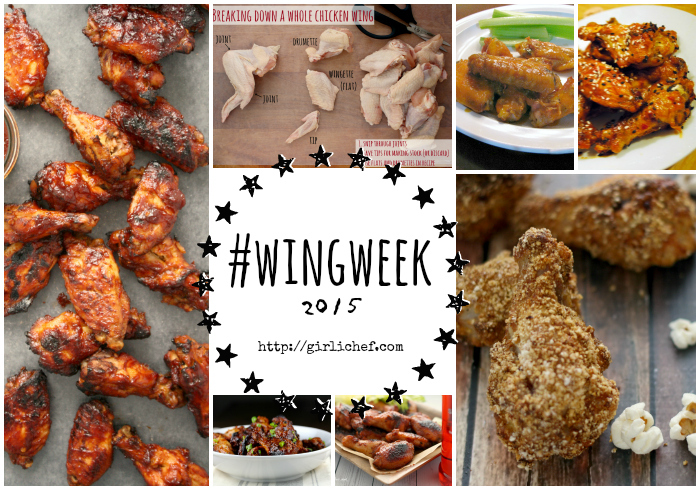 Well, it's here, and it came fast—today is officially the final day of #wingweek 2015. The fact that today also happens to be Super Bowl XLIX is no accident. Since I start craving wings come football play-off time, I figured other people might be doing the same. What better way to gear up for a day of food and football than with a virtual buffet of chicken wings recipes coming your way for a whole week? Plus, it gave me a chance to try out some new recipes and techniques, and have a few friends drop by with their contributions, as well! I kicked things off last Sunday with a simple tutorial on how to break down whole chicken wings and how to cook them. If you're armed with the basics, you can use them to adapt any other recipe or flavor profile to suit your needs. I had such an awesome week, and believe it or not, I'm still looking forward to eating more wings during the game tonight. But after that, I'll probably be good for at least a short while. 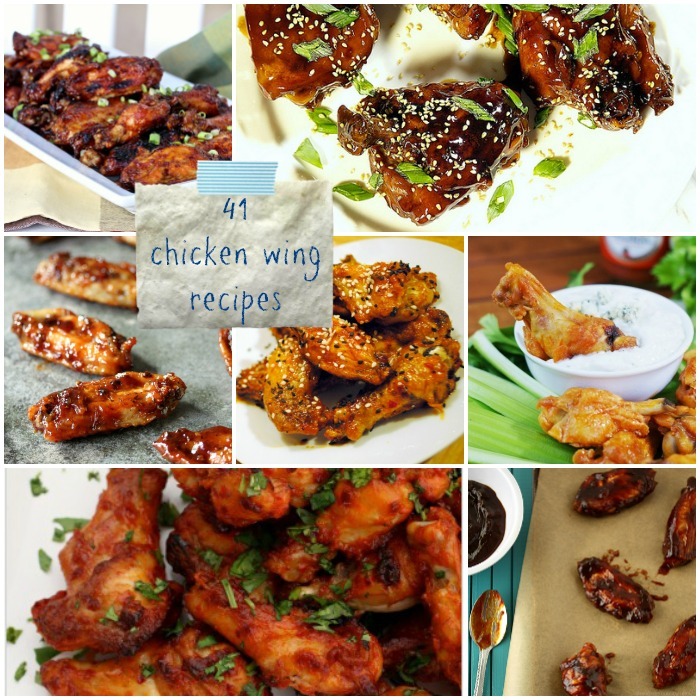 So, to end #wingweek in style and give you even more ideas to ponder for the big game tonight, here are 41 MORE chicken wing recipes for you to consider! When January rolls around, and season-ending football parties abound, I start craving chicken wings. Around here, it's come to be known as "my yearly craving" (though I'll happily eat them anytime of the year). What better way to satisfy my craving than to enjoy a week-long festival of ALL THINGS CHICKEN WINGS! Join me this week as I share a simple tutorial on how to break down whole chicken wings, introduce different cooking methods, and of course share new recipes so you can put those skills to use. 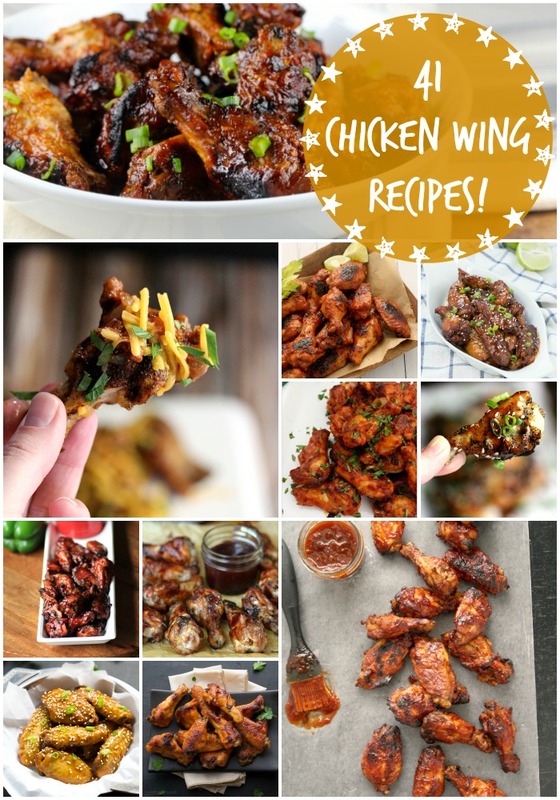 I even have a few friends dropping by with their own chicken wing guest posts! This, my friends, is the start of a yearly tradition—thank you for joining me for my first annual #wingweek celebration!